42k and beyond: Will I ever race again!! Will I ever race again!! Another couple of very hectic weeks have passed and running again has bit the bullet. 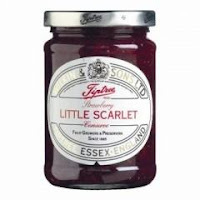 Since my last post I have been offered a new job, based in Docklands in London, starting on May 6th, with Nuplex Resins Ltd – all very exciting and an extremely good career move and more responsibility, however I will miss my current employer, Wilkin & Sons AKA Tiptree Jam, makers of the best preserves and marmalades in the world - available at all good supermarkets and deli’s (if it’s not there, ask them to get in touch and stock it!!). Anyway, all this upheaval in the last few weeks, has meant that energy at the weekend has been limited and with only limited mid-week training time running has borne the brunt of it, meaning that another race will be cancelled (Halstead Marathon), but then with nothing planned until September (Shotley Challenge) I will have time to get back into the swing of things and sort out training that suits me and my new lifestyle. Conveniently my new employer has showers at work, so lunchtime runs will be a must and with the Crowne Plaza Hotel nearby, with its 25m pool I can get some swimming in – just need a turbo-trainer for the bike and I can train for triathlons still (talking of cycling - great new pair of Buff Pro bib cycling shorts received - review coming). 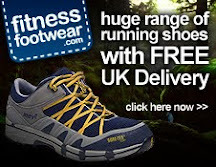 Also I can now set my sights on going back to do the Marathon Des Sables (don’t tell the wife!!! ), probably in 2014, due to the waitlist in the UK being 3 years, and also look at doing the 6633 ultra (definitely don’t tell the wife!!! ), either in 2013 or 2015, so bigger thing on the horizon. As for an Ironman place - still nothing and to be honest probably a good thing now, although I may look at doing and Ironman 70.3 instead if I can get a place, as these sell out very quickly, and training will be easier to fit in. So that’s it for the time being – I watched the London Marathon with envy and admiration (I’ll be there next year, regardless) - Well done all who finished, especially Zoe Orrin-Mumford, as part of her 1000 Miles in a Year for Breast Cancer Also a big mention for the unstoppable Mr Alex Flynn, who ran in the Brighton Marathon the week earlier (with a heavy cold) as part of the 10 Million Metres Challenge i started with him in 2009. Alex has now completed 1,150,000 metres, with a massive run across Europe in June to come, as well as the Challenge Henley Ironman in September and then many miles more over the next 3 years, go visit his website - http://www.alexflynn.co.uk/ - and donate some money please - Simples! !